Этот салат вегитарианский, его очень часто используют как гарнир, и как отдельную закуску. Варим всё нужно варить – яйца, картошку, свеклу. Чистим, нарезаем на кусочки. На очень маленькие кусочки я не нарезаю, просто предпочитаю более крупнонарезанную картошку и яйца. 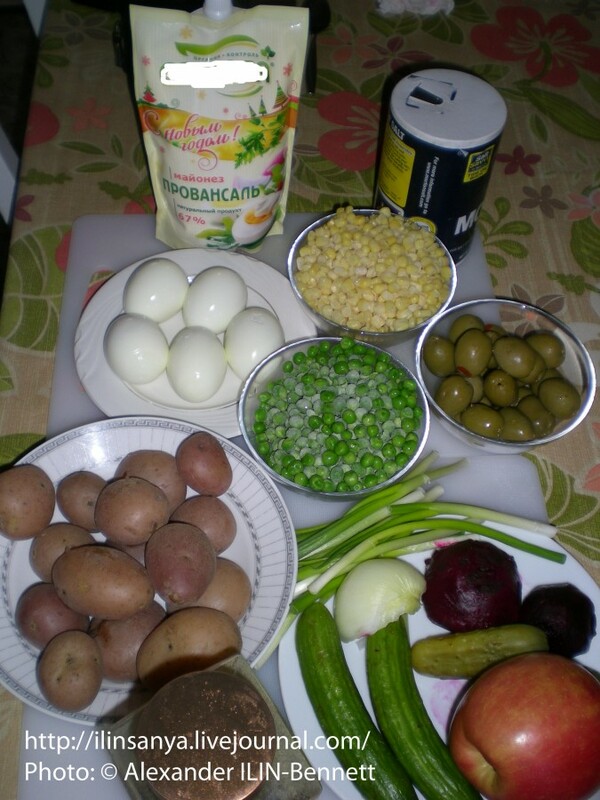 This is a version of Russian Salad. 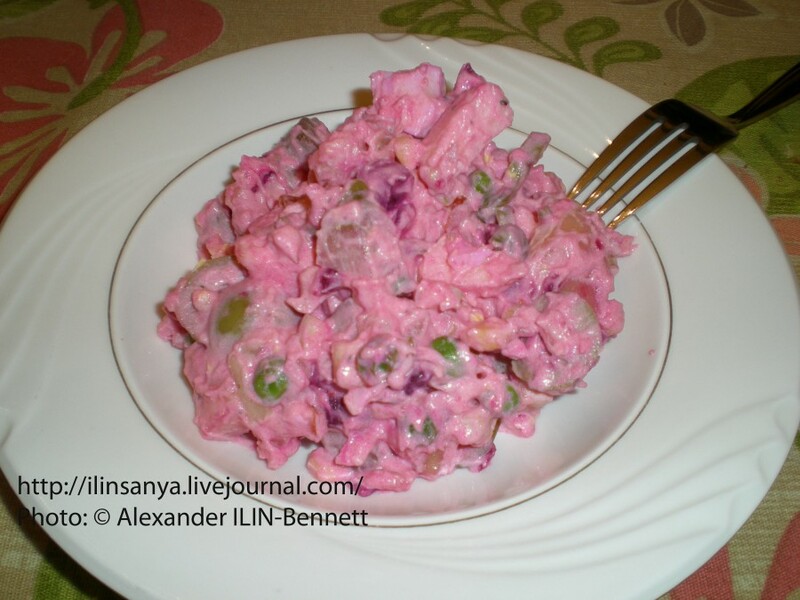 In a lot’s of places it is known as a Russian Potato Salad. The original recipe is with meat, but the Latin American version in a lot’s of places is vegetarian. 1 can of mayonnaise (1 pint). In case if salad comes out dry, have some more mayonnaise ready. Sometimes the potatoes come out dryer and need more. After all the ingredients a cut to pieces add the pepper and the mayonnaise. Due to the fact that some of the ingredients are picked, DO NOT add salt. Mix with the mayonnaise first and then taste for salt and only then add salt if needed. Preferably serve the salad right away. If you keep it if cooler overnight, the apple will become soft. In this case, whatever portion will be stored overnight should not contain apple in the mixture. Just add apple the next day.